All too often I am faced with the task of appraising an Estate because of a passing of an elderly parent. Or someone who met an untimely or unexpected death. Regardless of the circumstances of a loved one’s passing the extended family, the better structured and designed an estate is, the less burdensome it will be to its heirs. In those difficult times, the children of the deceased are trying to cope with the loss of their parents, yet are faced with the challenge of sorting through the estate. Moreover, most have never been involved in an estate distribution and in addition to the emotional stressors; there is usually a myriad of questions that are generated and uncertainties. 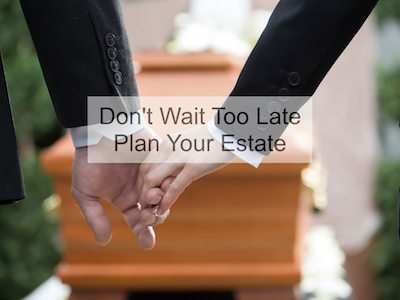 From my experience, in most cases, the deceased truly didn’t fully understand the importance having a certified appraisal as part of their estate planning. It is critical to be pro-active in your estate planning. Take the necessary steps so that your loved ones can grieve without the added stress. A well-designed estate with effective communication to heirs and professionally appraised valuables not only decreases avoidable emotional strain and confusion, but it can also help prevent familial fractures from forming or being exacerbated. If you already have estate and tax attorney or professionals in place that is great. If not, you must determine who needs to be on your team to ensure that the estate is structured and most effectively planned. Large or valuable estates, it is in the estate’s best interest to have its fine art, collectibles, antiques and other valuable items evaluated by a certified appraiser. The benefits of using an independent certified appraiser include, but are not limited to, accurate item valuations and valuations more likely to be accepted by the IRS and insurance companies. An appraiser’s mission is to place a monetary value on fine art, antiques and other valuables. I make it a priority to clearly explain the process. Also, I’ll answer any and all questions my clients have regarding the process. I understand the need for a steady and reassuring hand even when planning well in advance. Moreover, I work closely with your team so that coordination and communication are clear and transparent. I encourage you to be pro-active and make it a priority to have your estate professionally appraised in 2017.